The Placer County Sheriff's Office is seeking applications for Deputy Sheriff - II. 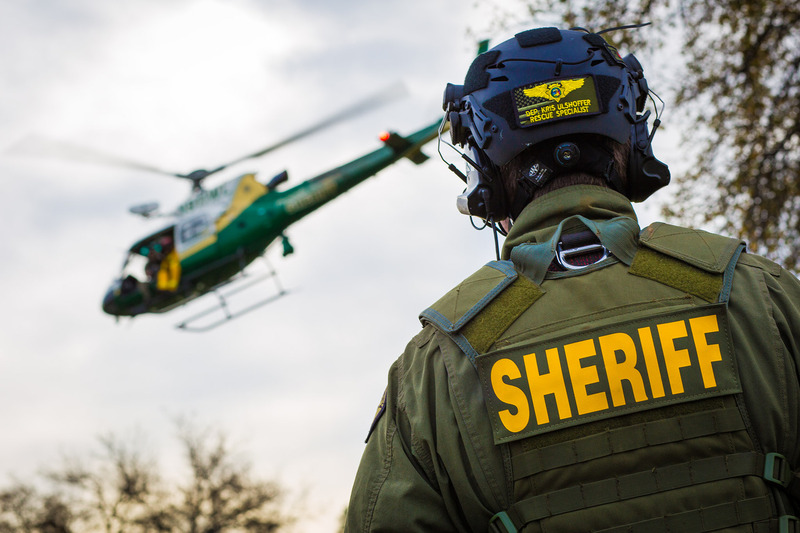 Deputy Sheriffs are utilized in locations throughout Placer County, and their work assignments include: patrol, investigations, corrections, and court services. The eligible list established from this recruitment may be used to fill both permanent and temporary/extra help vacancies, including extra help court security assignments. Qualified applicants will undergo an extensive background investigation to determine if they meet the high standards set by the Sheriff's Office in the areas including, but not limited to, high moral character, honesty, and exemplary work ethic. The Sheriff's Office also highly values those with a positive attitude toward fellow workers and the community they will be serving. To perform law enforcement and crime prevention work within a variety of assignments including to patrol assigned area and enforce State and local laws, to conduct investigations of misdemeanor and felony crimes, to supervise inmates in correctional facilities and to ensure court security. This is the full journey level class within the sworn Deputy Sheriff series. This class is distinguished from the Deputy Sheriff I by the assignment of the full range of duties. Employees at this level receive only occasional instruction or assistance as new or unusual situations arise and are fully aware of the operating procedures and policies within the work unit. Positions in this class are flexibly staffed and are normally filled by advancement from the entry level. Receives general supervision from a Sergeant or other designated sworn personnel. May exercise technical and/or functional supervision as a Field Training Officer, as an assigned Officer-in-Charge and in another specialized assignment. Maintain law and order within the County by performing law enforcement activities in a variety of assignments. When assigned to patrol, patrol an assigned area by motor vehicle, on foot, or by other designated means to answer calls for the protection of life and property and the enforcement of County and state laws; conduct both preliminary and follow-up investigations of disturbances, prowlers, burglaries, thefts, robberies, death and other criminal incidents; direct traffic and detain drivers who are operating vehicles in violation of laws; issue citations and make arrests as necessary. When assigned to investigations, investigate major crimes against property and persons, in addition to narcotics and vice-related crimes; conduct extensive follow-up investigation at the scene of crimes and accidents; gather evidence; conduct surveillance; locate and question witnesses; take statements from witnesses; present information to the District Attorney's office for filing charges; and appear in court, as directed. When assigned to court security, maintain safety and security for all personnel in the courtroom; act as bailiff in courtroom; transfer inmates to and from the courts and correctional facilities; search individuals entering the court when necessary; at all times, monitor all courtroom activities to anticipate any safety concerns; assist other courtroom personnel in ensuring smooth operation of the courtroom. When assigned to civil division, serve civil and criminal subpoenas, summons, complaints, executions, attachments and court orders; interview witnesses, neighbors or other persons to gather information for investigations or the service of legal documents; determine daily geographical route and item schedule to maximize the service of legal documents. When assigned to correctional facilities, receive, search, book, fingerprint and guard prisoners in the jail or other prisoner holding facilities; supervise prisoners at work, in transport, during visit conferences and other activities; prepare prisoners for court, visits from attorneys and for the prisoner's transfer and release; transport prisoners between the jail and the courts. Gather evidence using a variety of methods and techniques, including taking photographs, lifting fingerprints, tracing movements and talking with informants. Serve warrants and subpoenas; file complaints; perform other work related to the processing of misdemeanor and felony complaints. Prepare detailed reports on all activities; write reports on arrests, traffic violations, inmate conflicts, impounded property and other situations; maintain Departmental records and files when necessary. Receive and investigate complaints of violations by or against juveniles; confer with juveniles and their parents; prepare citations for Juvenile Court. May be assigned to canine patrol duty. Conduct searches in snow conditions. Check buildings for physical security; report street lamps or traffic signals that are not working; report or remove traffic hazards and report and take corrective action on other conditions detrimental to the general public. public awareness/education programs at schools. Substantiate findings in court; testify when necessary in court. Experience: One year of responsible law enforcement training and experience performing duties similar to a Deputy Sheriff I with Placer County. Training: Completion of the twelfth grade or G.E.D. Possession of the CA POST Basic certificate or equivalency certificate. Principles and practices of law enforcement. Police methods and procedures, including patrol, crime prevention, traffic control, corrections, investigation and identification techniques. Criminal law and criminal procedure with particular reference to the apprehension, arrest and custody of persons committing misdemeanors and felonies. Rules of evidence pertaining to search and seizure and the preservation of evidence. Use and care for small firearms and other law enforcement equipment and tools. Rules and regulations of the Sheriff's Office. Laws applicable to the apprehension and treatment of juveniles. Offensive and defensive weapons nomenclature and theory; use and care of firearms, chemical agents, baton and other related law enforcement paraphernalia. Principles and practices of self-defense. Pertinent laws, codes, regulations and statutes. Accepted procedures and methods of serving civil notices, especially those relating to the attachment and sale of property; nature and purposes of such documents as writs of attachment, subpoenas, citations and other civil papers. County geography, noting streets and building locations. Undertake and satisfactorily complete required and assigned in-service training programs as well as other mandated training requirements. On a continuous basis, know and understand all aspects of a sworn Deputy's job; intermittently analyze work papers, reports and special projects; remember accounts given by witnesses; identify crime suspects; interpret and apply the law to field situations; observe while conducting surveillance; problem solve crime situations; and explain law to public. On an intermittent basis, sit at desk or in patrol vehicle; walk and stand during patrol activities; bend, squat and kneel during inspection of crime scene or conducting building searches; climb stairs and/or ladders while in the field; twist while making arrests; perform simple and power grasping, pushing, pulling and fine manipulation. Continuously wearing utility belt and other police equipment of 30 pounds; and intermittently lift very heavy weight. Demonstrate keen powers of observation and memory; observe accurately and remember faces, numbers, incidents and places. Think logically and act quickly in emergencies and judge situations and people accurately; exercise good judgement and make sound, independent decisions while working in the field. Learn, understand and interpret laws and regulations. Meet and maintain required peace officer employment standards. Meet and maintain the Departmental firearms qualifications standards. Prepare and make presentations related to law enforcement efforts in the community. Work irregular hours and shift work, including holidays, nights, weekends, and overtime. The performance examination will consist of a series of job related exercises and will be scored on a pass/fail basis. Note: Applicants who have been employed as a peace officer within six (6) months of application submission date will be considered to have met the physical agility criteria for this classification and will not be required to take the performance examination. There are multiple vacancies remaining for temporary/extra-help deputies. This recruitment has been extended through 04/26/2019 at 5:00PM to allow for additional upcoming testing opportunities. Applicants will be notified of future testing dates once scheduled. Applications received prior to the first cutoff deadline of 02/01/2019 will be invited to participate in the exams taking place on 02/25/2019 & 02/26/2019. For questions regarding this recruitment, please contact Laura Craig, Administrative Technician, at lcraig@placer.ca.gov or (530) 886-4664.